1. 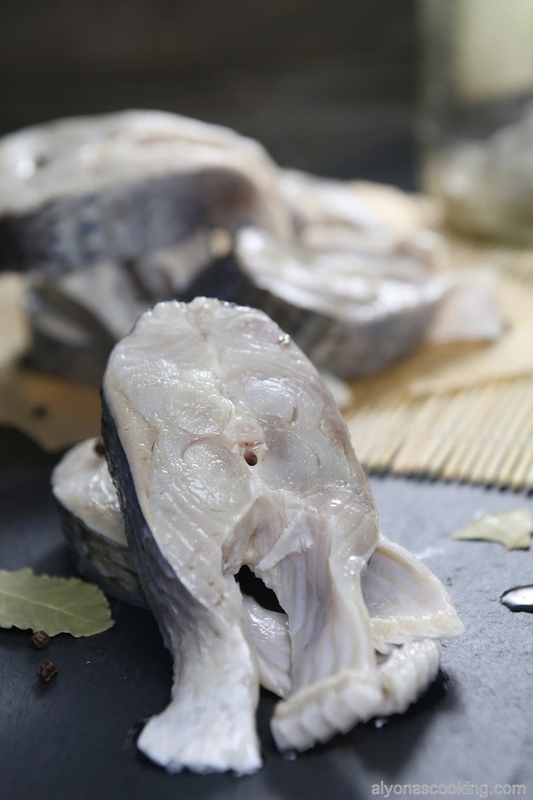 De scale the fish by running a fork towards the opposite direction of the scales. 2. 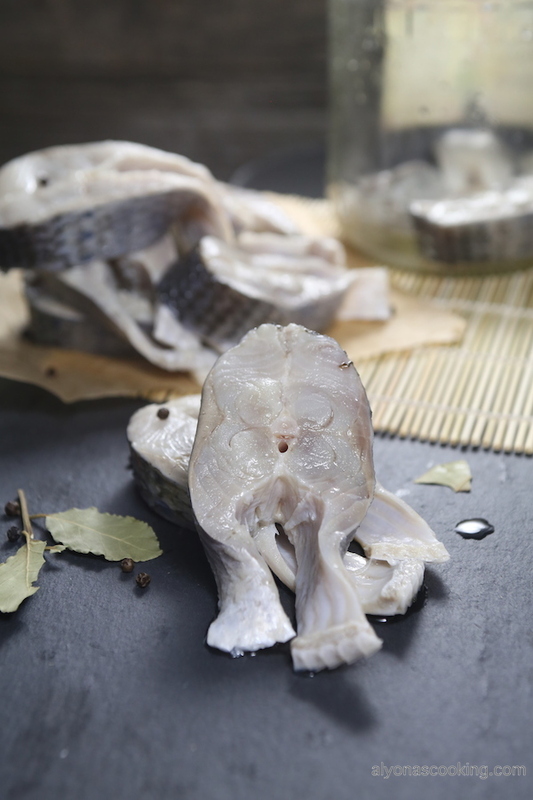 Clean out the entrails by slicing the bottom of the fish from the head to the tail. Discard the head and entrails. Rinse the fish under cold water and allow fish to soak in a bucket of water for 1 hour. 3. Meanwhile in a medium sized saucepan combine the marinade ingredients and bring to a boil, whisking mixture. Cool completely. 4. 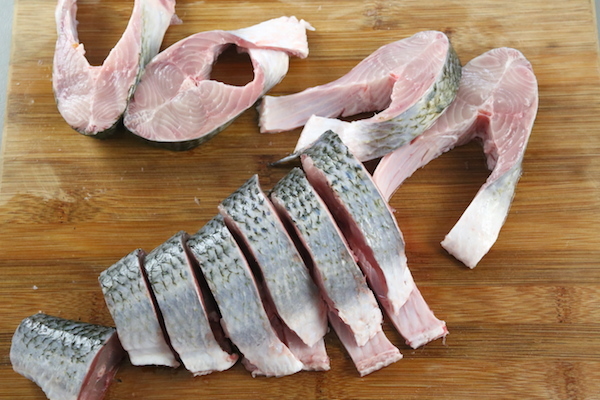 Slice fish into 1″ thick pieces, discarding tail. 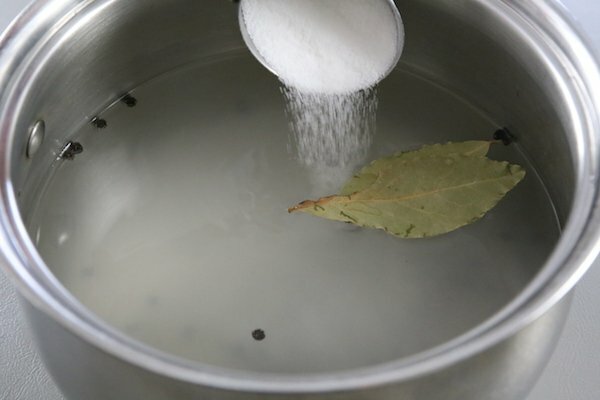 Rinse and soak in a cold water until needed. 5. Pat fish dry with paper towels and add to the COLD marinade. 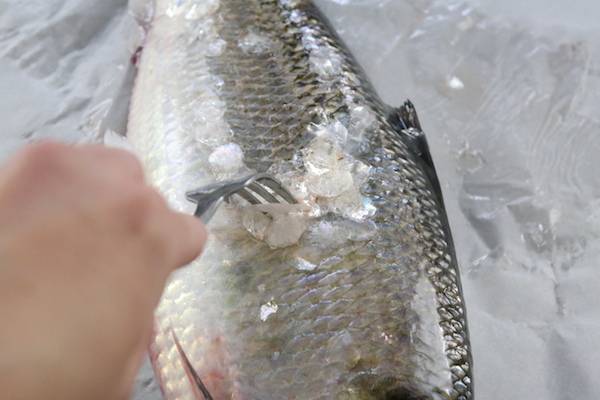 Weigh down the fish with a small plate to ensure the fish is covered in the syrup. Cover and refrigerate 12 hours. 6. Remove fish from the marinade and stack into a jar. Pour enough oil to cover the fish and keep refrigerated for up-to two weeks. These are freezer friendly. 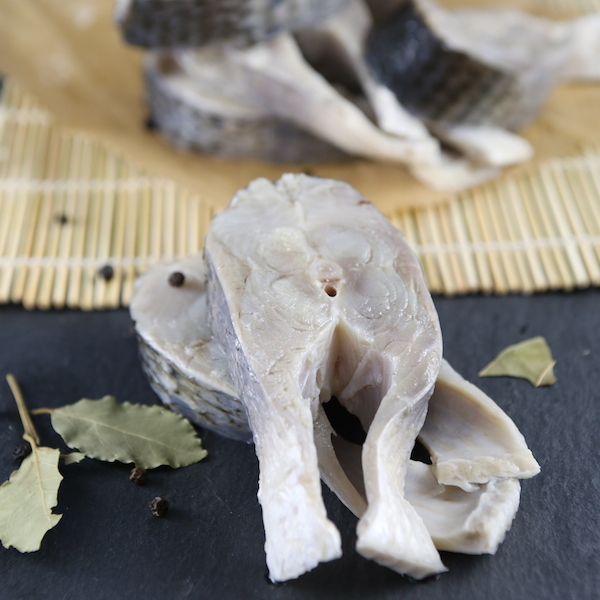 De scale the fish by running a fork towards the opposite direction of the scales. 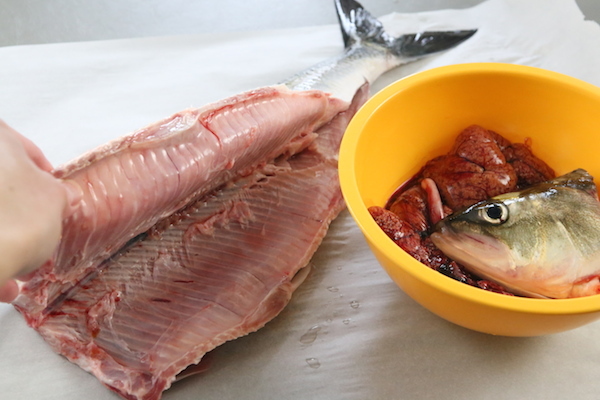 Clean out the entrails by slicing the bottom of the fish from the head to the tail. Discard the head and entrails. 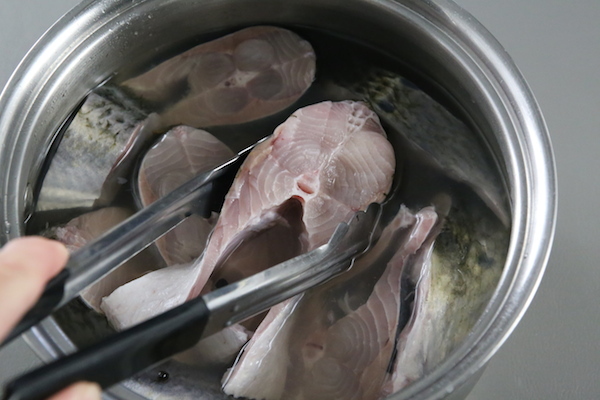 Rinse the fish under cold water and allow fish to soak in a bucket of water for 1 hour. 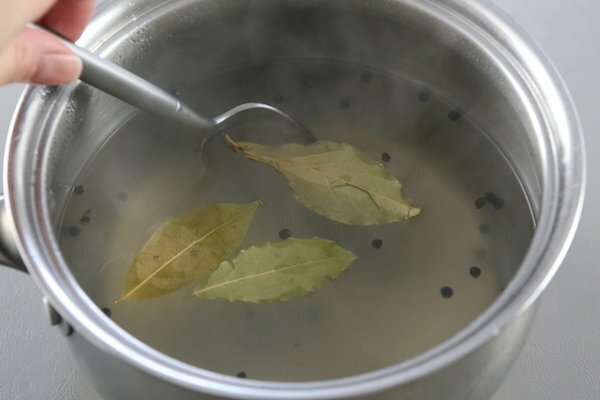 Meanwhile in a medium sized saucepan combine the marinade ingredients and bring to a boil, whisking mixture. Cool completely. 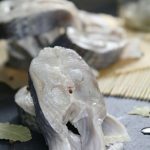 Slice fish into 1" thick pieces, discarding tail. 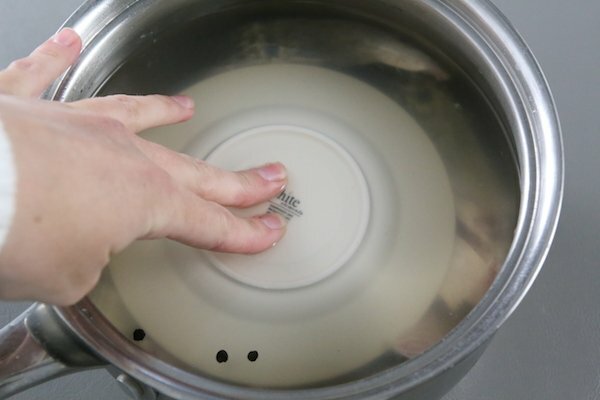 Rinse and soak in a cold water until needed. 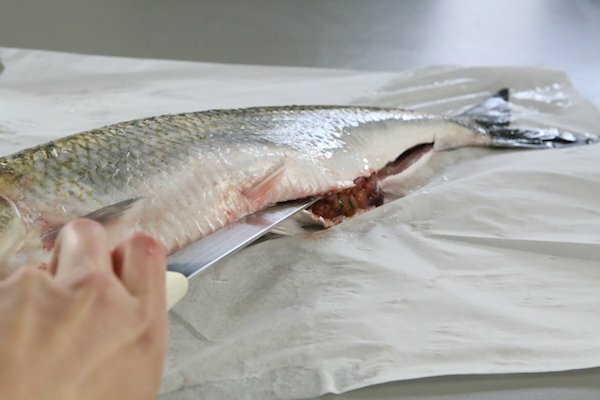 Pat fish dry with paper towels and add to the COLD marinade. Weigh down the fish with a small plate to ensure the fish is covered in the syrup. Cover and refrigerate for 12 hours. 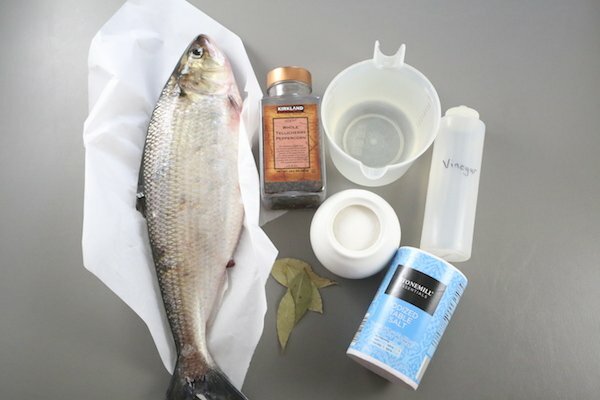 Remove fish from the marinade and stack into a jar. Pour enough oil to cover the fish and keep refrigerated for up-to two weeks. Freeze afterwards. Your very welcome:) Let me know how it turns out. I wouldn’t use olive oil as it can give out a strong after taste, that may not be so pleasant with raw fish. 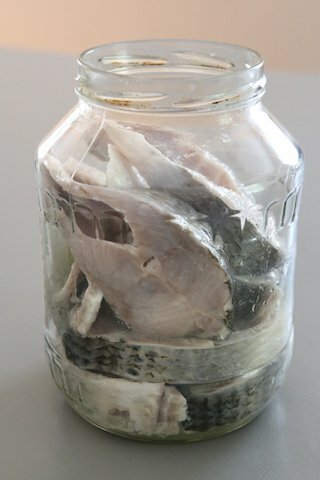 Alyona, what kind of oil do you use to cover the fish in the jar? Alesya, I would probably use a mild fragrant oil like canola, vegetable or sunflower seed oil.